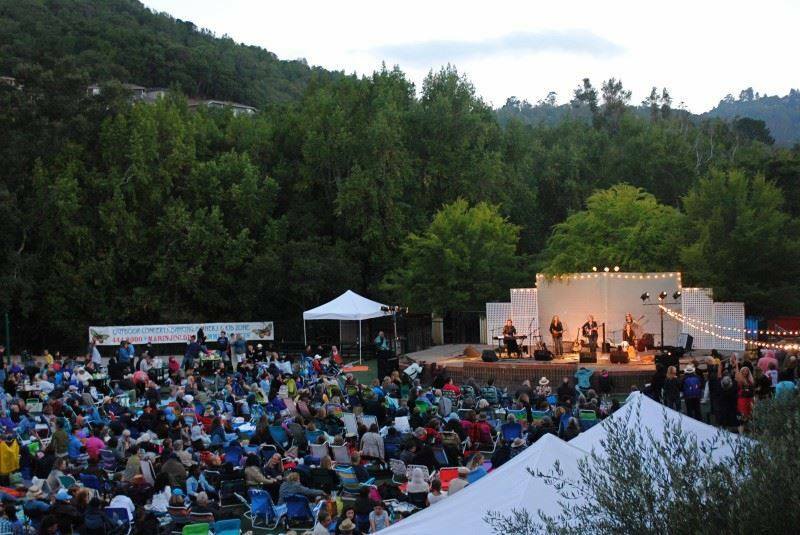 The 26th Annual Summer Nights Series of live music, food, cocktails, Kid Zone, and more continues on July 14 with a celebration of the Islands and Hawaiian favorites Henry Kapono and special guest Johnny Valentine for a magical evening under beautiful Marin skies. Saturday, July 14 brings a celebration of island life to the 26th Annual Summer Nights outdoor concerts. Henry Kapono is a performer who has it all — vocalist, guitarist, songwriter, composer, thrilling performer, and audience favorite. He has received multiple honors and awards, including a Grammy nomination and 14 Na Hoku Hanohano Awards (Hawaii’s “Grammy”) including Male Vocalist of the Year, Song of the Year, Single of the Year, Album of the Year, Rock Album of the Year, and Lifetime Achievement. 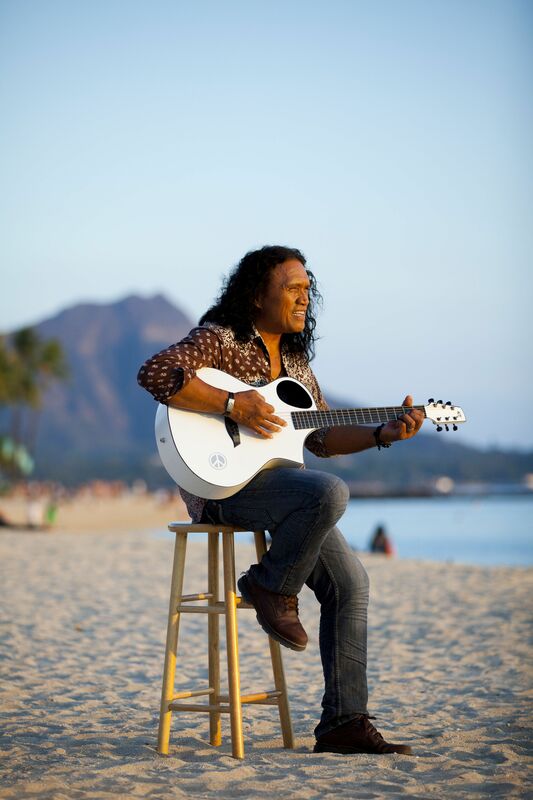 Kapono's original songs with a rock vibe celebrate his love for his family, express his pride in his Hawaiian culture, and share his joy in his home on the Islands! Hawaii Music Award winner Johnny Valentine, one of Hawaii’s top entertainers (who gave his nephew Bruno Mars his start on the stage) joins Kapono for this special Summer evening concert. The evenings music will showcase all the Kapono classics as well as launch his newest CD release, "Welcome 2 My Paradise!" The evening begins with a hula dance performance from Hula On, Na Pua O Ka La’akea. Dinners available to purchase on-site from Mauna Loa Hawaiian BBQ. Kid fun will be sponsored by Trips for Kids Marin. 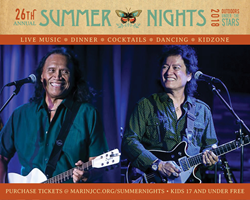 WHAT: Henry Kapono & Johnny Valentine perform as the Hawaiian Islands are celebrated for Summer Nights at the Osher Marin JCC’s 2nd outdoor concert of the series. MORE: Dinners, snacks, coffee, tea, sodas beer, wine, cocktails available for purchase or bring a picnic. No glass or alcohol allowed to be brought in. The Summer Nights venue is located in an intimate, safe, natural setting with easy access and seating choices for all. 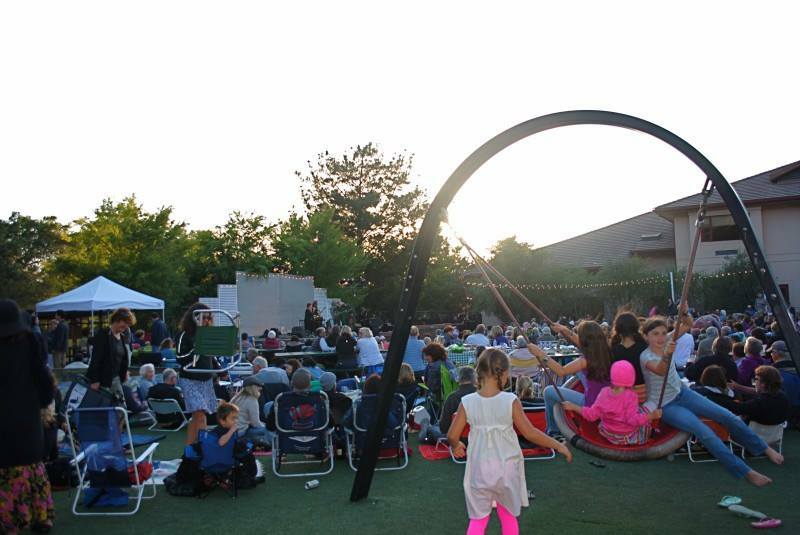 Playground on-site, children’s art activities and free admission for ages 17 and under make for a fabulous family night out. Trips for Kids Marin host the Kid Zone this evening with hands-on fun for the little ones. 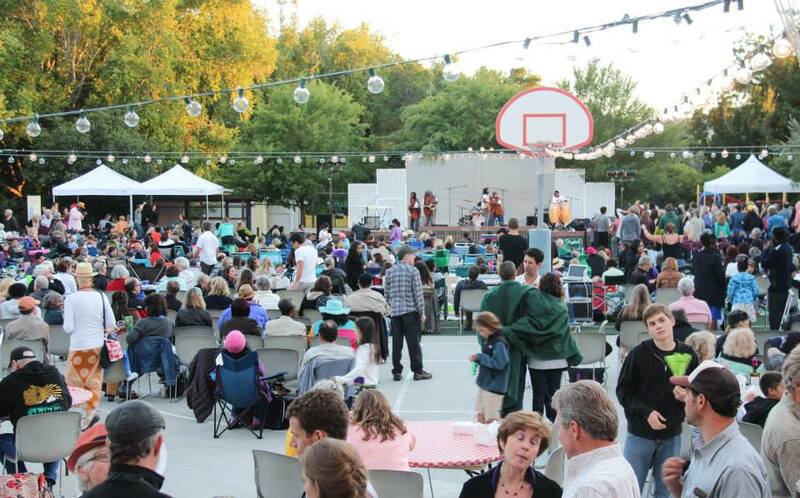 Created to celebrate diversity, explore commonalities, and bring generations together through live music, Summer Nights works to build community through the arts.